"While Glaciers Slept" weaves together the parallel stories of what happens when the climates of a family and a planet change. M Jackson, a noted scientist and National Geographic Expert, reveals how these events are deeply intertwined, and how the deterioration of her parents' health was as devastating as the inexorable changing of Earth's climate. Jackson poses a stark question: if losing one's parents is so devastating, how can we survive the destruction of the planet that sustains us? Jackson draws both literal and metaphorical parallels between the degradation of the climate and her parents' struggles with cancer. Nonetheless, Jackson shows that even in the darkest of times we cannot lose hope. Jackson guides us to solar, wind, and geothermal solutions, bringing us along on her expeditions to research climate change and to educate people about how to stop it. Scientists are continually looking for better ways to translate hard science into human language and that is precisely what this book does. While Glaciers Slept shows us that the story of one family can be the story of one planet, and that climate change has a human face. Climate change, she convinces us, is not just about science—it is also about the audacity of human courage and imagination. According to Dr. Steve Running, winner of the 2007 Nobel Peace Prize for his research on climate change, "M Jackson brings climate change down from an abstract global scale to a very personal human scale. Particularly engaging for the non-scientist reader." 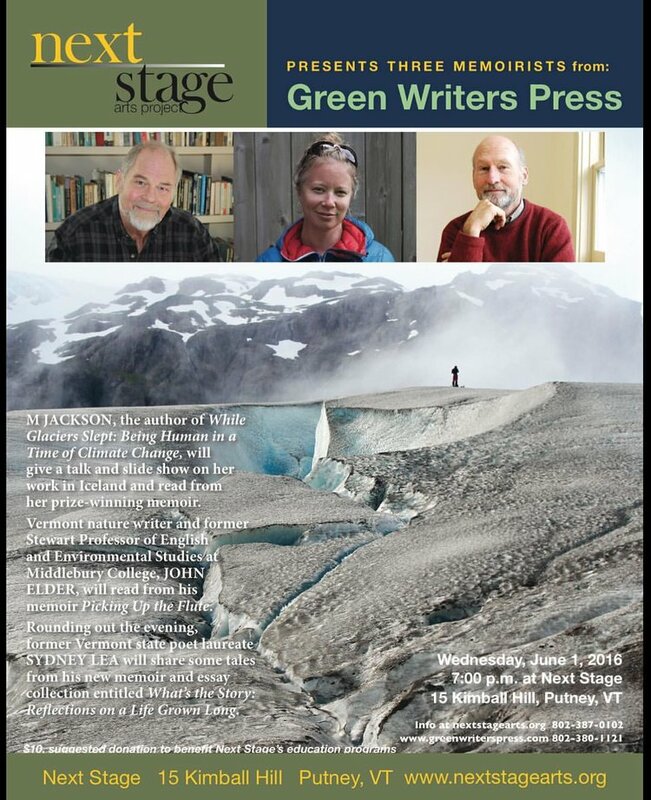 Library Journal reviewer Venessa Hughes wrote that While Glaciers Slept was "reminiscent of Bill McKibben's Eaarth, [a title that] will interest readers of environmental issues, particularly climate change and a warming Arctic region, and fans of personal narratives."